New sawmill/live edge boards on the way! Well its that time of year again. The calls are coming in and appointments are getting booked for tree removal quotes and jobs. Call, email or text to set up a free quote. 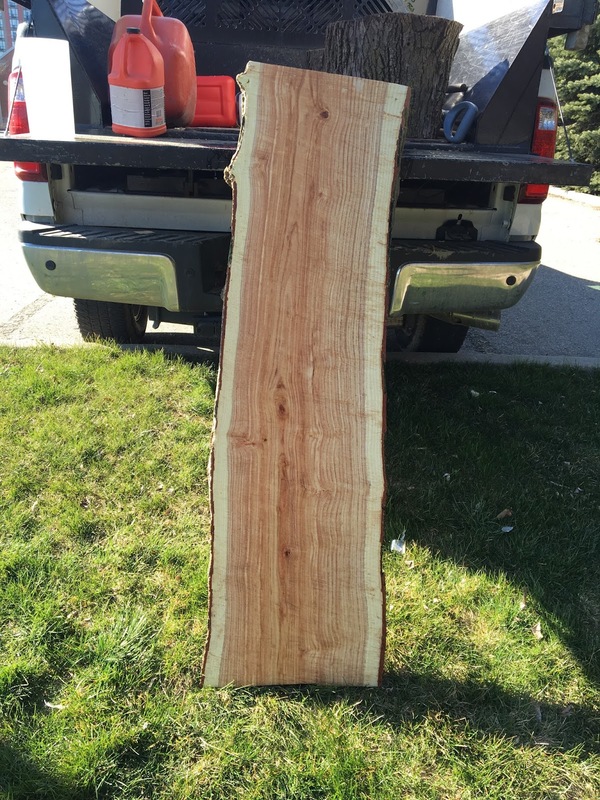 Also with the warmer weather comes new live edge slabs and boards. We are in the process of purchasing a new sawmill that will allow for the custom cutting of live edge boards, and the production of lumber. This mill can produce 10' long boards at a maximum width of 22". The advantage of this new mill will be smoother slabs and boards requiring much less effort in the process of smoothing the surface of the wood for finishing. Where the chainsaw mill would leave a chatter on the board, requiring additional sanding and planing, this bandsaw mill will produce an smooth, consistent surface. We will be up and going with the mill in the coming weeks, and will have undried boards available within the month. Dry boards will take a bit longer as they will be sent to the kiln. If there is a certain species of wood your looking for to complete your DIY project, let me know and I'll do my best to accommodate. Also if you would like your name added to our mailing list for future releases of live edge wood, please let me know. Thanks and in the words of football genius Ed Woodward, "watch this space". I've been busy working on providing some more live edge wood slabs, and I now have some available. 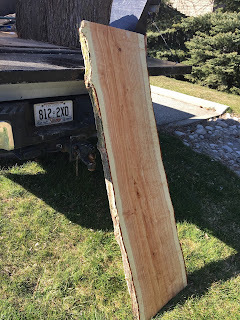 I've recently cut down a Sunburst Locust tree, and i'm in the process of milling it into boards. 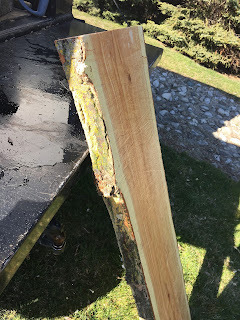 Currently I have 3-4 - 20" wide, 5' long, by 2" thick - with live edge.